Every mail center needs a shipping and manifest station for small packages. Adjustable shelves keeps shipping boxes and packing tape right where you need it. 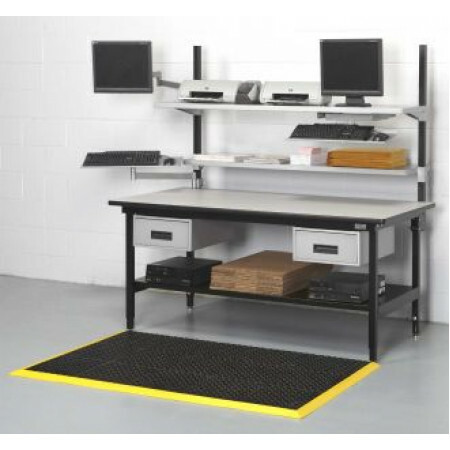 • Top monitor / printer shelf is 64" x 17" with attached pull out key board shelf 24" x 8". • Lower storage shelf is 59" x 26" perfect for packing supplies, envelopes & informational binders. • 2 each pull out drawers are for manuals and small supplies. • Each drawer is 15-1/2" x 19-5/8" x 7-7/8"D.
• Flat screen swivel bracket & swivel key board shelf is for a second manifest system in a busy mail center.